To Eat Well is to Live Well! I knew that I would be out all day at the street fair Saturday with my wife and her family. They all were coming over for dinner after so I wanted to get some of this stuff done before hand. 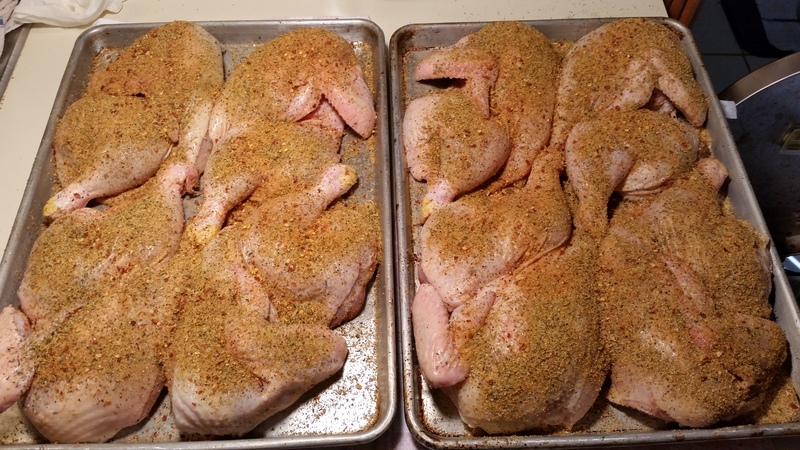 On Wednesday I went to the store and got six whole chickens, cut the spines out and seasoned them liberally on both sides with a mixture of salt, pepper, dried chili flakes, paprika, granulated garlic and onion powder as you can see here. I wrapped them up and put in the fridge overnight. 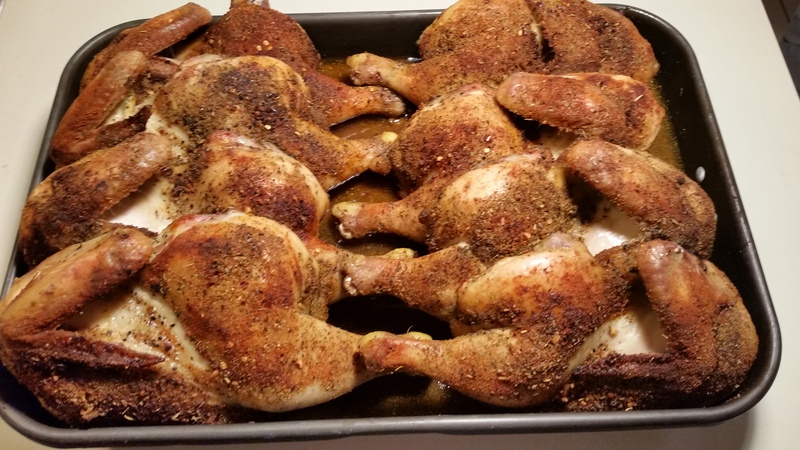 The following day I took the chickens out of the fridge, let them come to room temperature and par baked them in a 350F oven for 50 minutes and until they registered 160F on a meat thermometer. 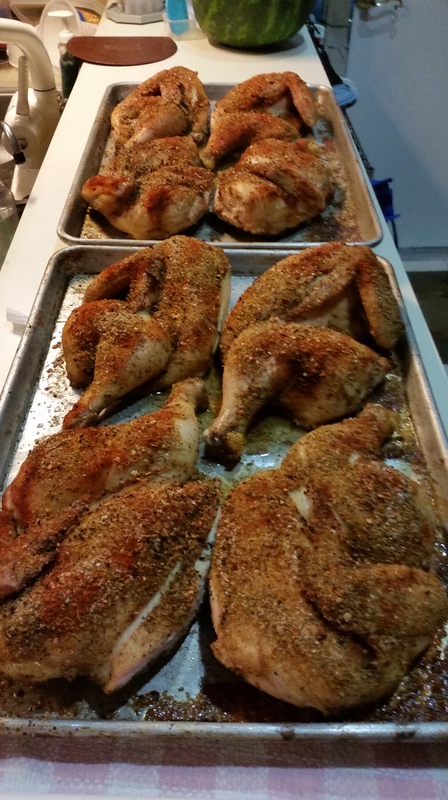 I know that they would carry over to 165F degrees, the safe temperature for cooked chicken. I let them cool on the counter for about an hour. 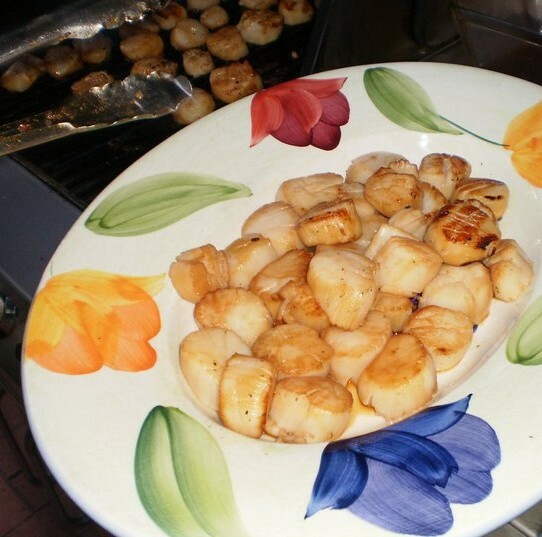 Then I consolidated them in one 2 inch baking dish, wrapped them and put them in the fridge for Saturday where I would finish cooking them on the grill. Oh boy they were great! 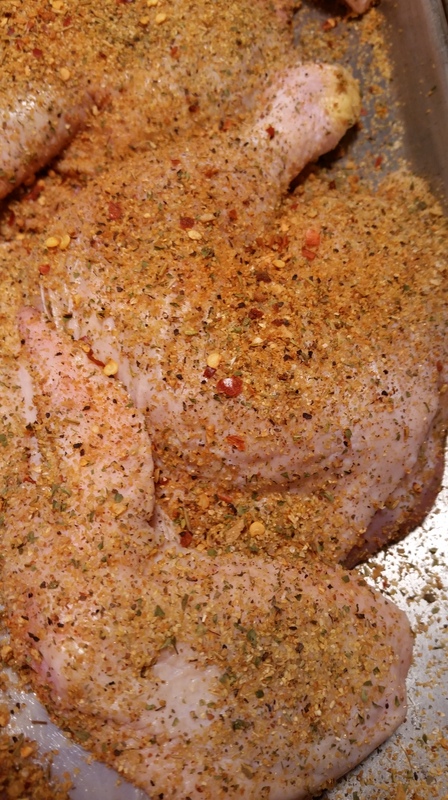 This entry was posted in Dinner, Food, Herbs/Spices, Lunch, Poultry and tagged chicke, do ahead, dried chili flakes, granulated garlic, onion powder, paprika, par bake, pepper, salt, whole chicken. Bookmark the permalink.